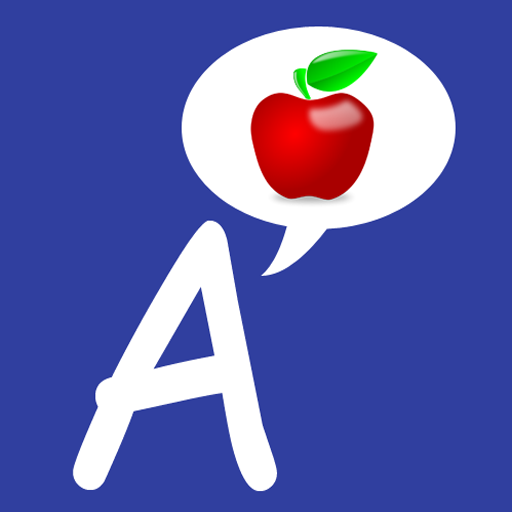 Alphabets is an educational app for preschoolers or toddlers to learning English alphabet from A to Z. 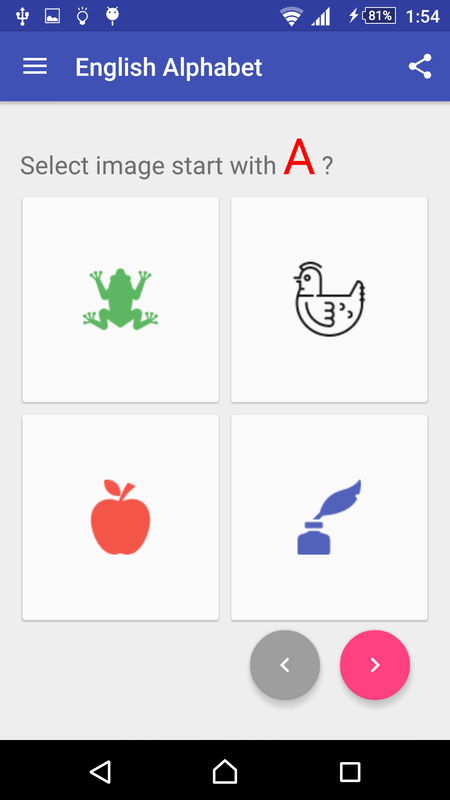 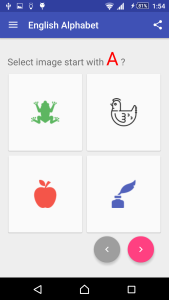 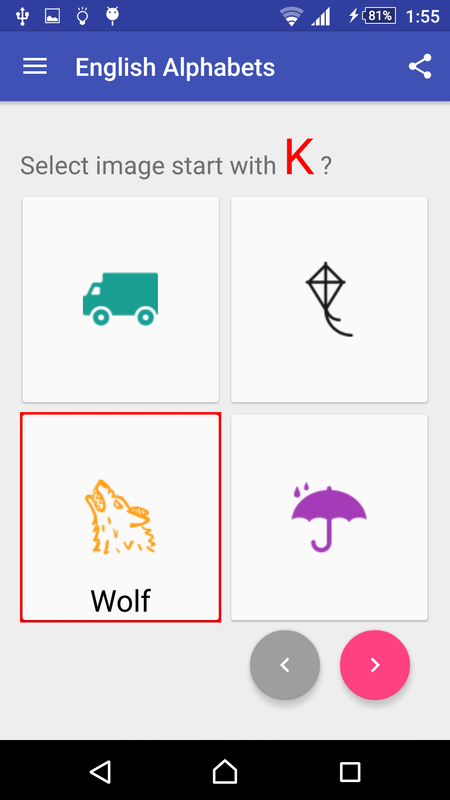 This is a simple app where it ask you to select an image started with a given alphabet. 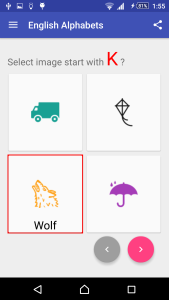 You have to choose one out of four options. 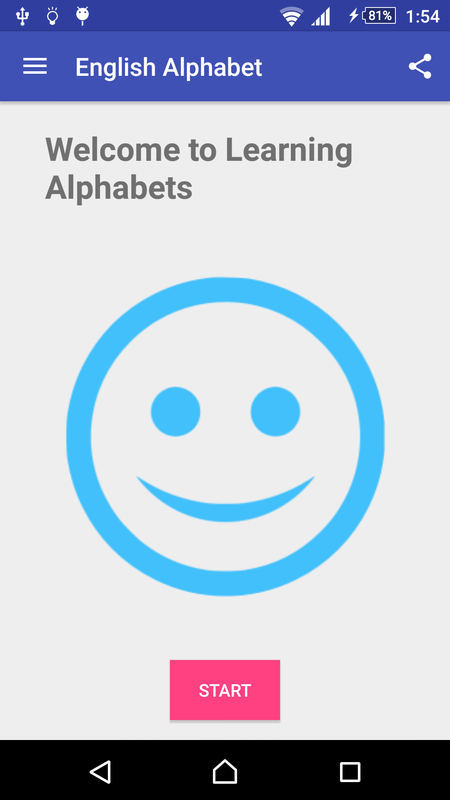 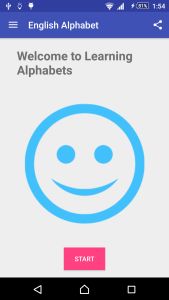 You will enjoy playing with this app and will learning alphabets android App.